Zakk Wylde has confirmed the release date of his new solo album. Book Of Shadows II is scheduled to drop on the 8th of April via Spinefarm and will be the guitar legend and Black Label Society mainman’s first solo LP for 20 years. Wylde has been working on the new material since wrapping up his “Unblackened” spring tour with Black Label Society, recording and producing all tracks at his home studio, The Black Vatican. The new album will be followed by a wave of supporting tour dates to be announced soon. 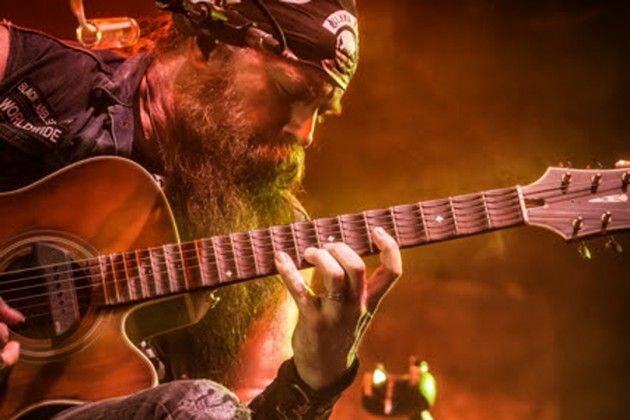 Wylde is no stranger to showing the lighter, introspective side of his music, having previously released two Black Label Society albums of stripped down material. The Song Remains Not the Same was released in 2011 and included acoustic versions of songs originally released on Order of the Black, and 2013’s Unblackened featured live acoustic tracks recorded at Club Nokia in Los Angeles. The new album is the follow up to Wylde’s 1996 highly regarded solo LP, Book Of Shadows.